Wine lovers have reason to cheers this summer as Bompas & Parr are opening their lastest intruiging event – an immersive wine-tasting experience like no other! 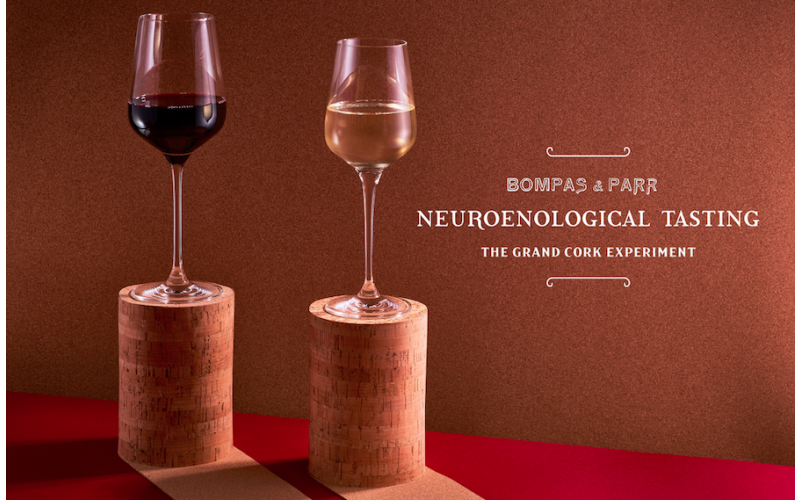 Appearing in London for a limited time only, Bompas & Parr’s Neuroenological Tasting: The Grand Cork Experiment in collaboration with The Portuguese Cork Association is an exclusive opportunity for guest to sample fine wines, whilst also being part of a ground breaking experiment that puts the senses to the test. In true Bompas & Parr style, visitors will be surprised every step of the way including: a multi-sensory palette cleansing, wine-tasting experiment and a chance to get creative in a cork workshop, followed by a chance to relax in the beautiful cork-clad bar.